Half of your mundane works are going to vanish. 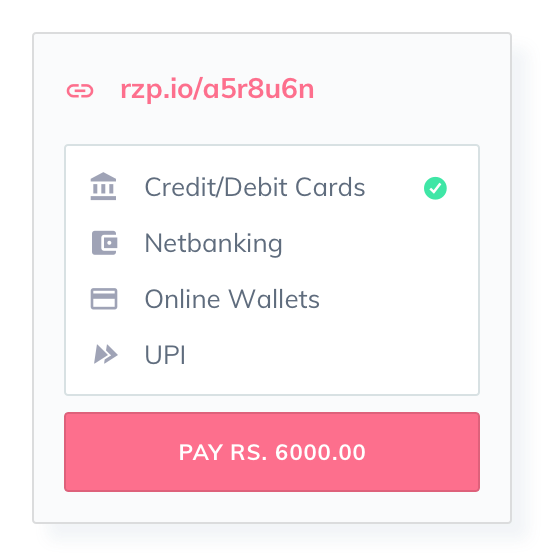 You invoice, we check payment in bank, as it will hit your bank, we will automaticaaly create receipt and send. Don't enter your bills, just upload a pic, and we'll take it in. 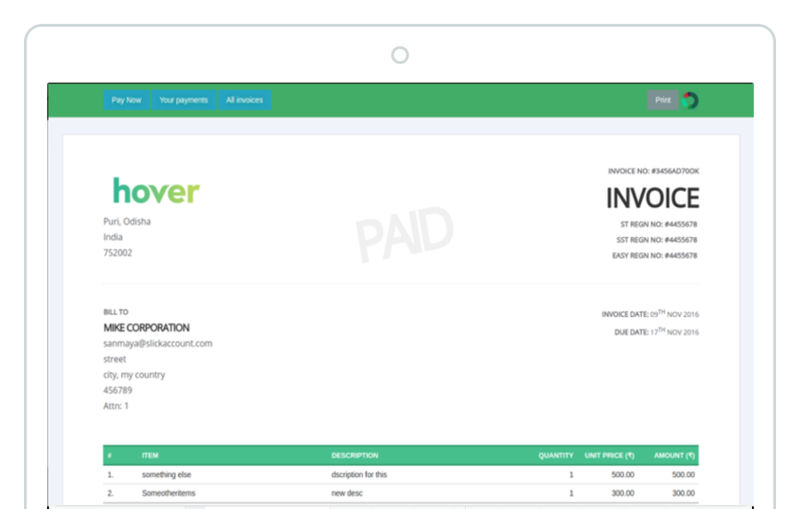 Sent your invoice directly to your customer through email, SMS and Whatsapp. Also to receive the due amount you can send the payment link. 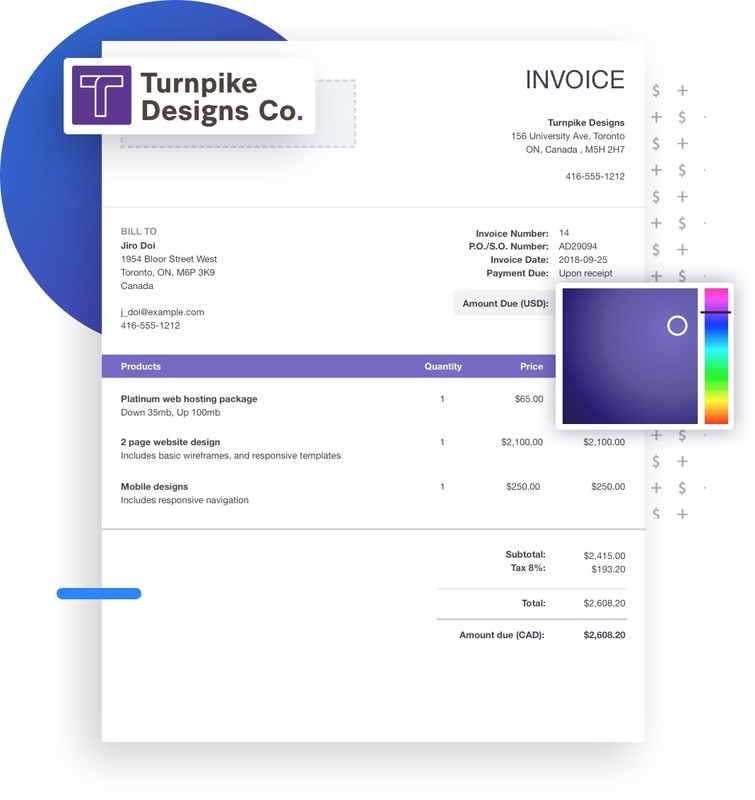 For SaaS and Subscription companies, we have simple SDKs and Classes to Show your customers their invoices and dues and payment details inside your software. With just 2 lines of code. 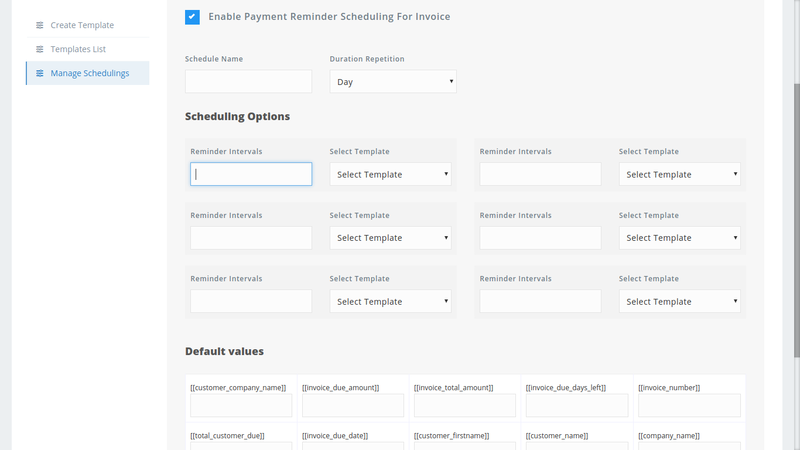 For invoice due reminder, on certain interval you can send reminder mail and SMS to your customer. 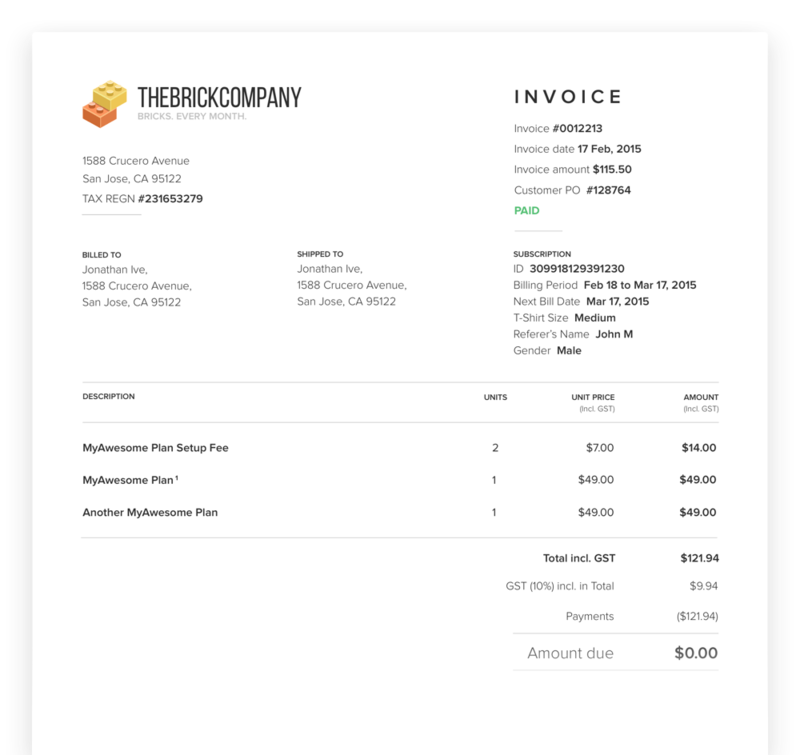 Be it mobile or tablet or laptop or desktop, now invoice on the go and from the office. 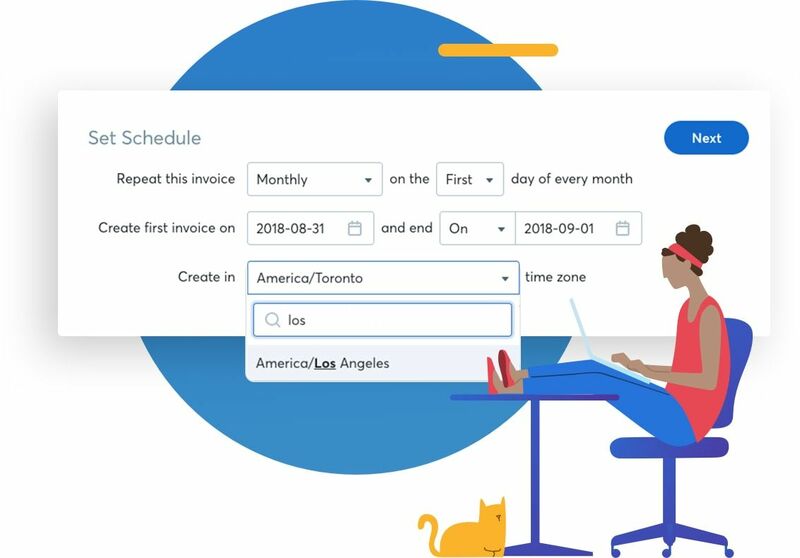 Customize your invoices for any day of the week, month, or timezone, and with any frequency. Visit SlickAccount’s invoicing page to learn more. Generating invoices for your customer is tiring process. In few clicks generate amazing looking invoices for your customers with SlickAccount's accounting software. Add or remove columns from Invoice, show or hide tax. Rename columns as you would like to.